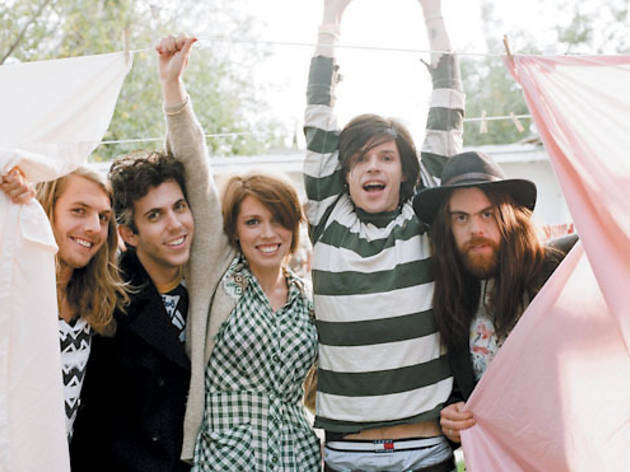 Grouplove crafts extroverted pop-rock that fuses Fun. and Pixies at their sleekest. 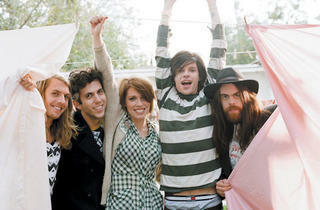 Always a giddy live act, the California act will jump and shout through the varied tunes of 2013's Spreading Rumors. Fans of Nirvana and Yo Gabba Gabba will both smile. Warming up for 'em is Joywave, an eclectic indie-pop group from New York, landed a record deal off a mixtape.